It seems that in light of the rough economic circumstances, more and more con artists and scammers are finding ways to take what little people have with get rich quick schemes. No one is immune – just this week I was subjected to the famous South African bank account email. Apparently I could receive 25% of $37,000,000 that sits unclaimed in South Africa if I’d kindly send my pertinent information to a generic email address. Now, reading that, I’m sure you’re thinking, “Of course that’s a scam. 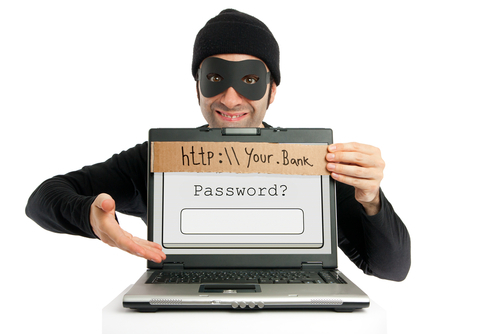 You’d have to be stupid to fall for it.” Well, not all scams are that blatant. My brother, just graduated from college, was job searching and found a job as a production assistant for a film that was about to shoot in LA. They offered a flat salary for one week’s work, gas & mileage, and per diem. They would even pay him up front and sent him a check for $3,000.00 when the pay was only $1,500.00. Here’s the catch: my brother was told the director didn’t have a bank account and as the PA, could he deposit the check into his account, withdraw the cash, keep his share, and send a money order to the address enclosed. Lucky for him, he was smart enough to ask big (attorney) sister if that was kosher. Taking one look at the obviously fake check, I called the bank to verify the funds and was told there was no such account. We turned over the fraudulent check and sent over the correspondence too in hopes that these scam artists would get caught. Had he not asked, he would have cashed the check and sent $1,500.00 out, but when the check got returned, would be on the hook for $3,000.00!! Young, old, college grads or not, all people are susceptible to fall victim to scams because, for the most part, we don’t want to be jaded, cynical, and distrustful. We all want to believe people are good and aren’t always looking for an angle. 1. Verify the source. If someone is asking for donations, ask for the tax ID number of the non-profit they’re collecting for or call the main office; this not only protects you, but it ensures that legitimate charities are not tarred with the same brush as the shysters. 2. If someone asks you to sign documents, take them to an attorney. It isn’t very expensive to have documents reviewed and spending a little now will eliminate having to spend a lot later. If you do get caught up in a scam, report it to the local police right away and, if possible consult with an attorney – you may have some legal recourse. 3. Remember, if it sounds too good to be true, it probably is.